6" Paracord Wrapped Compact Neck Chain Knife with Sheath (Black) Tactical Outdoor $ 14.99	• 25% off! Dagger Collectible Knife Black Wolf Etched Design 7 Inch Blade with Sheath $ 13.99	• 53% off! 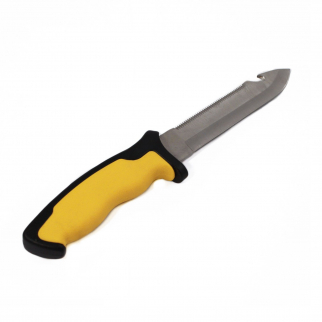 ASR Outdoor 12 inch Diving Knife with Hard Sheath $ 14.99	• 25% off! Tactical Buri Multipurpose Utility Dive Knife 8 Inch - Orange $ 31.99	• 20% off! 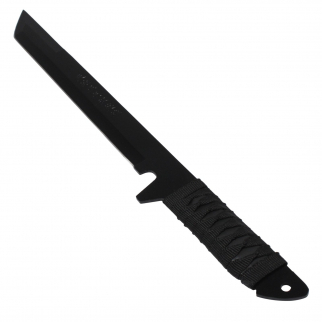 Akua Dive Knife with Tang Blunt Tip Blade and Sheath Water Sport - Black $ 31.99	• 20% off! 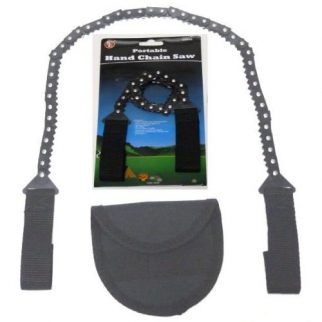 Deluxe Outdoor Survival Hand Chain Saw Portable Wilderness Essential $ 11.99	• 37% off! ASR Outdoor Pocket Knife 3.5 Inch Blade Diamond Plate Pattern Handle - Blue $ 6.99	• 56% off! ASR Outdoor Thumb Assisted Pocket Knife Golden Insert Stainless Steel Drop Point $ 9.99	• 60% off! Universal Tool Carbide Knife and Scissors Sharpener Hollow Grind Thumb Traction $ 6.99	• 30% off! 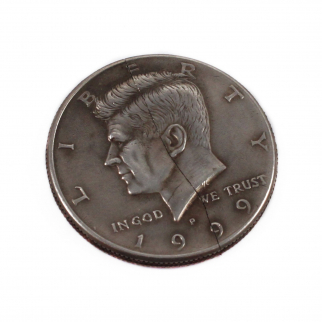 ASR Outdoor Folding Pocket Knife 1.5 Inch Blade 440 Stainless Steel - Silver $ 5.99	• 54% off! ASR Outdoor Folding Pocket Knife 1.5 Inch Blade 440 Stainless Steel - Black $ 5.99	• 54% off! ASR Outdoor Folding Pocket Knife 1.5 Inch Blade 440 Stainless Steel - Red $ 5.99	• 54% off! Universal Tool Titanium Deflator Drain Soft-skinned Containers Covert Operation $ 23.99	• 31% off! ASR Outdoor Mini Pocket Knife Emergency Folding Blade 440 Stainless Steel Tool $ 6.99	• 53% off! ASR Outdoor Folding Pocket Knife ABS Handle 3.5 Inch Blade - Digital Camo $ 7.99	• 53% off! ASR Outdoor Folding Pocket Knife ABS Handle 3.5 Inch Blade - Forest Snow $ 7.99	• 53% off! ASR Outdoor Folding Pocket Knife ABS Handle 3.5 Inch Blade - Forest Yellow $ 7.99	• 53% off! Biohazard Zombie Survival Tomahawk Throwing Axe Hatchet Hunting Camping Tool $ 18.99	• 58% off! ASR Outdoor Pocket Knife 3.5 Inch Blade Utility Black Diamond Plate Pattern $ 6.99	• 56% off! Collectors American Flag Steel Wolf Dagger Bowie Knife with Sheath - 13.5 inch $ 14.99	• 21% off! ASR Outdoor 8.25 Inch Rescue Knife with Belt Clip Seat Belt Cutter $ 10.99	• 45% off! 12-inch Full Tang Fixed Blade Throwing Knife Axe Paracord Wrap $ 13.99	• 26% off! ASR Outdoor Drop Point Pocket Knife 4.75 Inch Window Punch Bald Eagle Design $ 14.99	• 25% off! ASR Outdoor Hawkbill Style Folding Knife Digital Camo Navy Blue Pocket Blade $ 12.99	• 35% off! ASR Outdoor Hawkbill Style Folding Knife Digital Camo Desert Pocket Blade $ 12.99	• 35% off! ASR Outdoor Drop Point Pocket Knife 4.75 Inch Window Punch Deer Design $ 14.99	• 25% off! Sea Gold Anti Fog Gel Mask Visor Cleaning Solution Outdoor - 1.25oz $ 8.99	• 53% off! ASR Outdoor Drop Point Pocket Knife 4.75 Inch Window Punch Howling Bear Design $ 14.99	• 25% off! ASR Outdoor Drop Point Pocket Knife 4.75 Inch Window Punch Wolf Design $ 14.99	• 25% off! ASR Outdoor Thumb Assisted Pocket Knife Chrome Color Stainless Steel Drop Point $ 9.99	• 41% off! 4 Inch ASR Outdoor Fixed Blade Tanto Point Hunting Neck Knife - Blue $ 6.99	• 65% off! ASR Outdoor Drop Point Pocket Knife 4.75 Inch Window Punch Dark Chain Design $ 14.99	• 25% off! ASR Outdoor Clip Point Blade Pocket Knife 5 Inch Window Punch Howling Wolf $ 14.99	• 25% off! ASR Outdoor Drop Point Pocket Knife 4.75 Inch Window Punch Textured Camo Design $ 14.99	• 25% off! ASR Outdoor Drop Point Pocket Knife 4.75 Inch Window Punch Reptile Design $ 14.99	• 25% off! ASR Outdoor Clip Point Blade Pocket Knife 5 Inch Window Punch Military Men $ 14.99	• 25% off! ASR Outdoor Clip Point Blade Pocket Knife 5 Inch Window Punch Deer Design $ 14.99	• 25% off! ASR Outdoor Clip Point Blade Pocket Knife 4.75 Inch Window Punch Skeleton Pirate $ 14.99	• 25% off! ASR Outdoor Clip Point Blade Pocket Knife 4.75 Inch Window Punch Zombie Flower $ 14.99	• 25% off! ASR Outdoor Clip Point Blade Pocket Knife 4.75 Inch Window Punch Zealot Design $ 14.99	• 25% off! ASR Outdoor Clip Point Blade Pocket Knife 4.75 Inch Window Punch Red Dragon $ 14.99	• 25% off! ASR Outdoor Ninja Throwing Knives American Flag Bald Eagle Design 6.5 Inch $ 24.99	• 29% off! ASR Outdoor Ninja Throwing Knives American Flag Bald Eagle Design Multi Color $ 24.99	• 29% off! ASR Outdoor Eagle Head Back Lock Pocket Knife Collectible Dagger 8 Inch Overall $ 19.99	• 33% off! ASR Outdoor Wolf Head Back Lock Pocket Knife Collectible Dagger 8 Inch Overall $ 19.99	• 33% off! ASR Outdoor Full Tang Hunting Knife ABS Handle Fixed Blade Space Galaxy Design $ 39.99	• 20% off! ASR Outdoor Mini Folding Key Chain Knife 2.75 Inch Pocket Blade Tool - Blue $ 12.99	• 28% off! ASR Outdoor Mini Folding Key Chain Knife 2.75 Inch Pocket Blade Tool - Black $ 12.99	• 28% off! ASR Outdoor Full Tang Hunting Knife ABS Handle Fixed Blade Rainbow Design $ 39.99	• 20% off! 6inch ASR Outdoor Serrated Fixed Blade Tanto Point Hunting Neck Knife - Black $ 7.99	• 60% off! ASR Outdoor Thumb Assisted Folding Knife with Fire Starter 2.5 Inch Steel Blade $ 7.99	• 47% off! ASR Outdoor Thumb Assisted Folding Knife Belt Clip Seat Belt Cutter Punch Silver $ 7.99	• 53% off! ASR Outdoor Thumb Assisted Folding Knife Belt Clip Seat Belt Cutter Window Punch $ 7.99	• 53% off! ASR Outdoor 8" Silicone Carbide Double Sided Whetstone Grits 180 and 240 $ 12.99	• 32% off! ASR Outdoor Stainless Steel Body Pocket Knife Lock Back 3 In Camp Hunting Tool $ 6.99	• 46% off! ASR Outdoor Mini Paka Wood Pocket Knife Folding Blade 440 Stainless Steel Tool $ 7.99	• 38% off! ASR Outdoor 3 Inch Pocket Knife Emergency Folding 3 Blade 440 Stainless Steel $ 9.99	• 50% off! ASR Outdoor Paka Wood Pocket Knife Folding Blade 440 Stainless Steel Clip Point $ 12.99	• 35% off! 4 Inch ASR Outdoor Fixed Blade Tanto Point Hunting Neck Knife - Red $ 6.99	• 65% off! ASR Outdoor Folding Pocket Knife ABS Handle 3.5 Inch Blade - Purple Camo $ 7.99	• 53% off! ASR Outdoor 3 Inch Pocket Knife Emergency Folding Blade 440 Stainless Steel Tool $ 9.99	• 50% off! ASR Outdoor Folding Pocket Knife Drop Point Blade with Pouch $ 7.99	• 68% off! ASR Outdoor Decorative Full Tang Gold Fixed Blade 8in Throwing Axe $ 21.50	• 40% off! ASR Outdoor Cleaver 8" Assisted Open Pocket Knife with Belt Clip - Black $ 19.99	• 20% off! Gear Aid Tactical Camo Form Protective Camouflage Wrap - Realtree Max 5 $ 14.99	• 29% off! ASR Outdoor Folding Pocket Knife ABS Handle 3.5 Inch Blade - Forest Sunset $ 7.99	• 53% off! ASR Outdoor Folding Pocket Knife ABS Handle 3.5 Inch Blade - Orange Forest $ 7.99	• 53% off! Full Tang Camping Hunting Survival 7 Inch Serrated Knife and Fire Starter Green $ 8.99	• 50% off! ASR Outdoor Single Band Folding Slingshot Molded Grip Leather Pouch $ 7.99	• 60% off! 6" 2 Sided Knife Blade Sharpener Sharpening Stone (Grit: 120 / 240) $ 7.99	• 38% off! ASR Outdoor 11 Inch Survival Knife Stainless Steel Blade Fire Starter Orange $ 13.99	• 30% off! ASR Outdoor 11 Inch Survival Knife Stainless Steel Blade Fire Starter Army Camo $ 13.99	• 30% off! 14 Inch Ornamental Wolf Dagger Decorative Collectors Knife Outdoor Hunting $ 13.99	• 26% off! 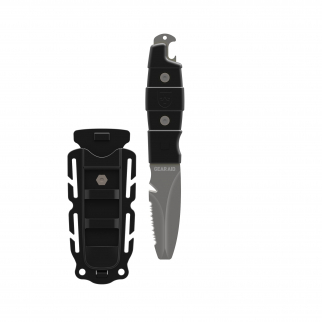 ASR Outdoor 12 Inch Griesmer Full Tang Serrated Hunting Knife $ 11.99	• 60% off! Universal Full Tang Spiked Axe Tomahawk Wooden Handle Ultra Lightweight Tactical $ 16.99	• 39% off! 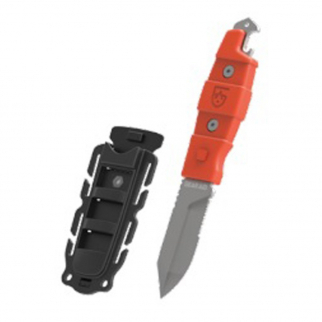 ASR Outdoor Survival Knife with Emergency Whistle 2.5 Inch Blade Orange $ 7.99	• 47% off! Akua Dive Knife Full Tang Blunt Point Fixed Blade and Sport Sheath - Green $ 31.99	• 20% off! 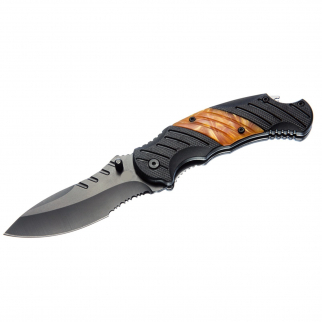 ASR Outdoor - 10.75" Hunting Knife with Folding Flip Lock Bone Handle $ 10.99	• 42% off! SE SS8 8" Dual Grit Sharpening Stone $ 9.99	• 55% off! ASR Outdoor 3.75 Inch Black Aluminium Body Pocket Knife with Belt Clip $ 7.99	• 50% off! ASR Outdoor EMS Emblem Pocket Knife Spring Assisted Serrated Tanto Blade Orange $ 19.99	• 33% off! Full Tang Survival 11 inch Serrated Knife and Fire Starter Hunting - OD Green $ 12.99	• 28% off! Fixed Blade Bowie Style Hunting Knife Sheath Sharpening Stone 14 Inch $ 15.99	• 36% off! ASR Outdoor Thumb Assisted Pocket Knife Rainbow Stainless Steel Drop Point $ 12.99	• 48% off! 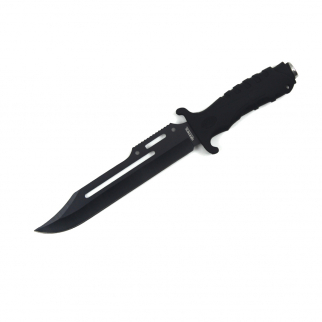 ASR Outdoor Collectible Black Eagle Etched Dagger Bowie Knife $ 12.99	• 35% off! Full Tang Camping Hunting Survival 11" Serrated Knife & Fire Starter (Camo) $ 11.99	• 33% off! Full Tang Serrated Survival Knife & Fire Starter Camping Hunting - Orange 11 in $ 12.99	• 28% off! 13.5" American Eagle & Flag Collector Hunting Knife with Scabbard & Etched Blade $ 12.99	• 48% off! ASR Outdoor Stainless Steel Machete 15.5 Inch Serrated Blade Paracord Handle $ 18.99	• 37% off! ASR Outdoor Pocket Knife 3.5 Inch Blade Diamond Plate Pattern Handle - Orange $ 6.99	• 56% off! ASR Outdoor Bald Eagle Hunting Knife American Flag 12.25 Inch Damascus Etched $ 29.99	• 25% off! Gear Aid Tactical Heavy Duty Stainless Steel Utility Knife Hunting Fishing Blade $ 14.99	• 61% off! Full Tang Hunting and Fishing Guthook Blade Cleaning Knife 11 Inch $ 19.99	• 29% off! ASR Outdoor Survival Kit Multi Function 16 in 1 Rescue Pocket Knife Tool $ 12.99	• 52% off! 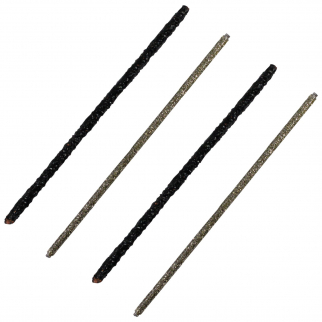 10pc ASR Outdoor Tactical Survival Sewing Kit Stainless Steel Needles $ 20.99	• 48% off! 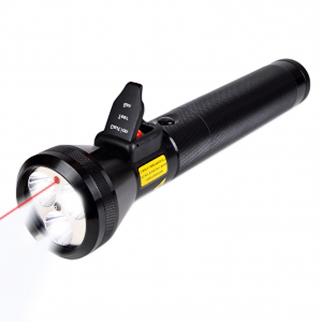 ASR Outdoor Survival Knife Hollow Handle 8.5 Inch with Emergency Tools $ 11.99	• 40% off! Multi Function Stainless Steel Utility Pocket Knife w/ Carrying Pouch $ 7.99	• 38% off! Universal Home and Office Utility Knife $ 6.99	• 36% off! 9 Inch Full Tang Serrated Dive Knife with Sheath and Leg Holster Straps $ 11.99	• 52% off! Fishing Net Magnets 2pc 8 LB Magnet Strength Chrome Plated Break Away $ 7.99	• 38% off! Ultra Lightweight Camping Micro Axe Hatchet Green Paracord Wrapped Handle $ 11.99	• 40% off! ASR Outdoor Wolf Hunting Knife American Flag 12.25 Inch Damascus Etched $ 29.99	• 25% off!